thank you THE CULTURE TRIP for the great article about my new book ! more good stories HERE . . . HERE . . . and HERE. 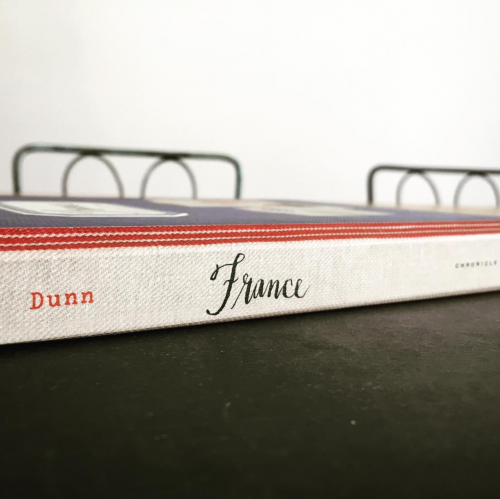 here is a SUPER sneak peek at the spine of my upcoming book, FRANCE: inspiration du jour. i’ll be able to show you the full frontal VERY soon. stay tuned . 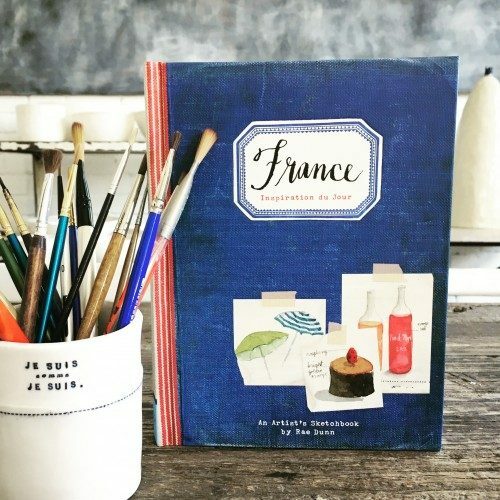 . .
france, inspiration, rae dunn, sketchbook. 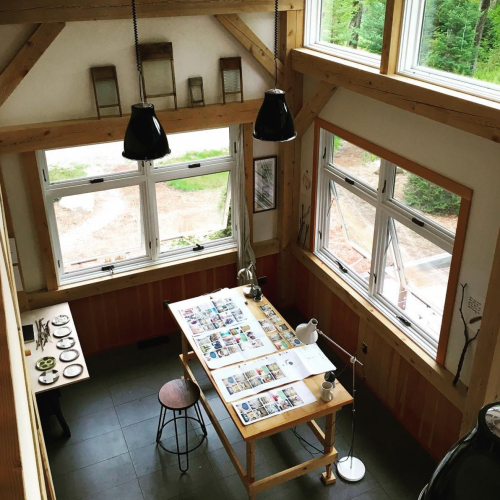 exactly ONE year ago on this desk in vermont, i began working on my next book, France: inspiration du jour, and today, on same said desk, i am reviewing the FINAL photo galleys. i love this full circle. we also just finalized the book cover which i am SO excited about . . . it took three months and a lot of determination to get it just right. i can’t wait to share it with you. stay tuned . 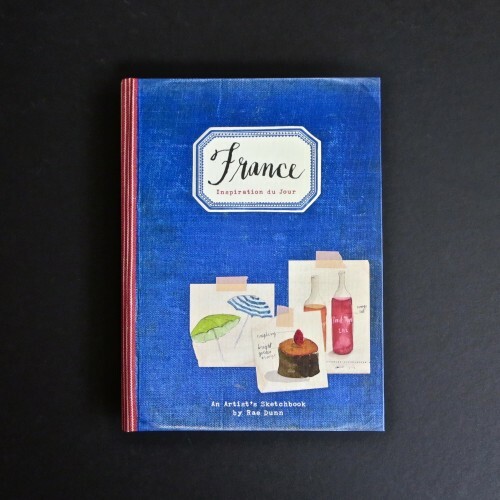 . .
france, france inspiration du jour, rae dunn, sketchbook. 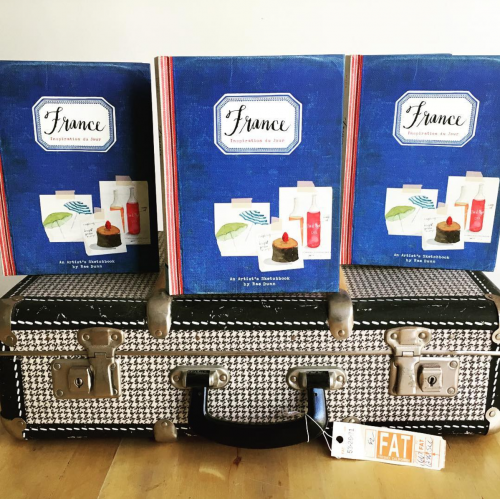 i was very excited to receive the FIRST GALLEYS for my upcoming book, FRANCE inspiration du jour. 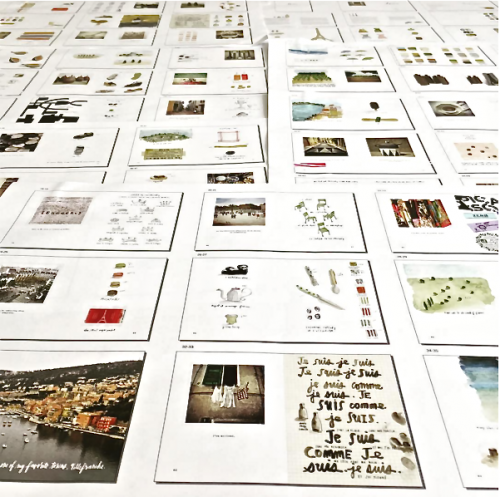 the book is almost ready to go to print ! we are still tweaking it a bit and deciding on the cover. the book will be released in spring 2017 and published by chronicle books. stay tuned . 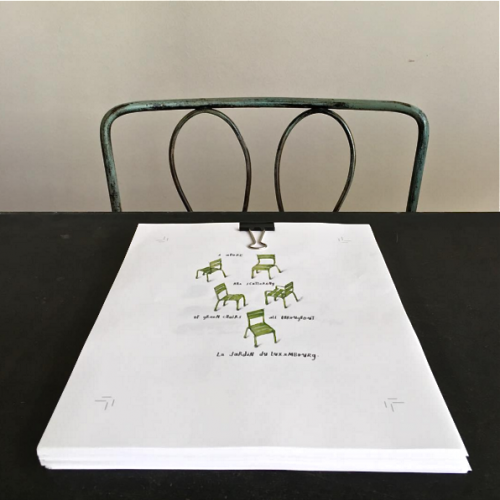 . .
i finally turned in my manuscript to chronicle books for my FRANCE SKETCHBOOK and i feel 121 pages LIGHTER ! 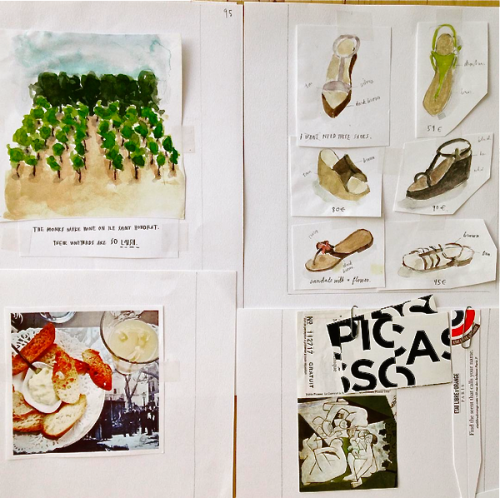 the book is a compilation of sketches and photos from my sojourns in france. it will be out in spring 2017 . . . stay tuned. this is the epitome of my summers in the south of france. warm sultry nights. good friends. 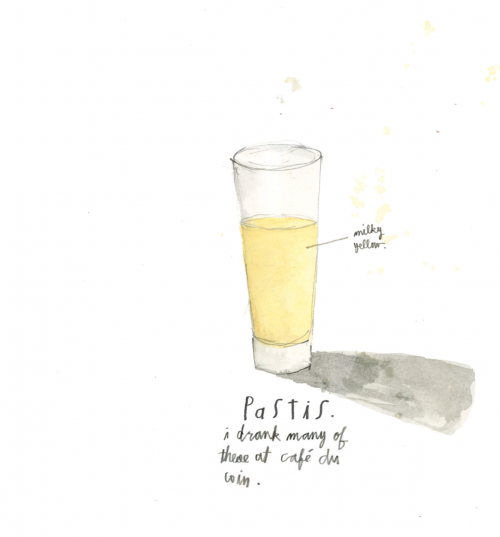 and lots o pastis. 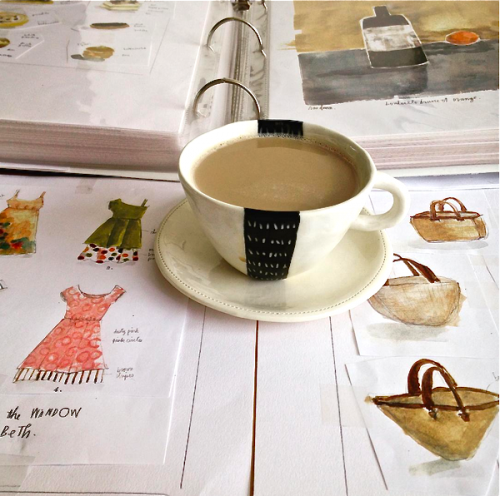 i’ve been working really hard on my upcoming book (the french sketchbook, chronicle books). 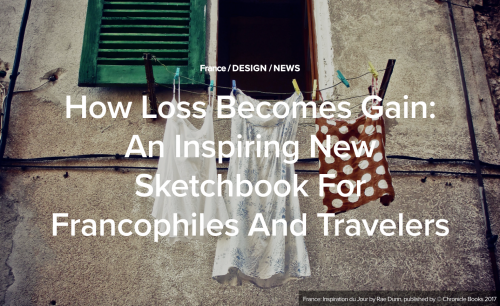 the book will be filled with sketches from my travel journals of france. curating this book is proving MUCH more difficult than meets the eye. i’m taking six sketchbooks and rolling them in one book, along with photos. i have an impending deadline and am trying to beat the clock ! 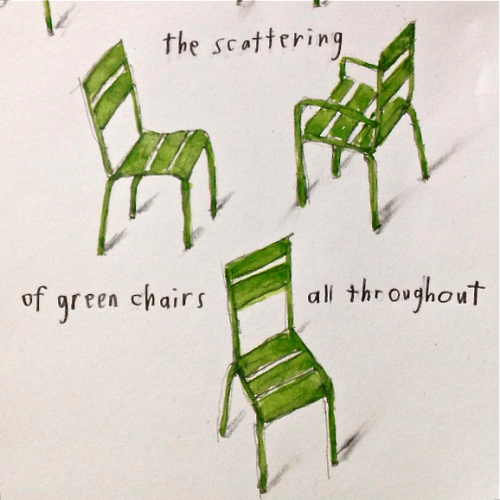 i LOVE the scattering of green chairs throughout this garden. they tell such a story the way they are left positioned. in groupings, some facing each other, some facing away from each other, and the alone ones off by themselves. so obscure. so fascinating to me.